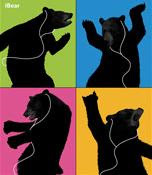 The Bear's Den Smoky Mountain News Blog Goes Mobile! Are you planning your Smoky Mountain vacation and don't want to miss a single Bear's Den update. Fear not! All you have to do is check your mobile phone! With Mippin Mobilizer, Bear's Den Smoky Mountain News is now available in a mobile version which is automatically optimized for any mobile phone with a web browser (over 2000 different devices) and available instantly. The http://www.BearsDenBlog.com will now work perfectly across thousands of different devices from large screen iPhones to compact RAZRs. Look for the this logo at the top of the Bear's Den Smoky Mountain News Blog . . .